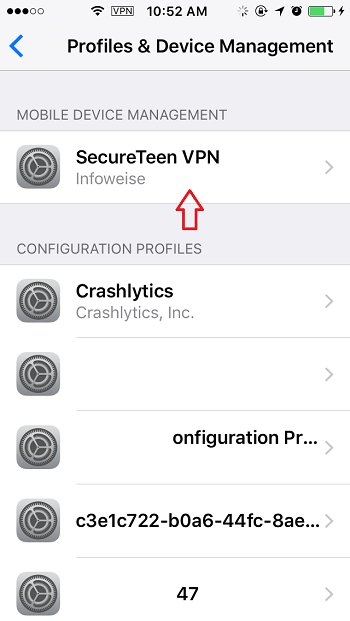 Tap and hold the SecureTeen icon until a cross appears on its top-left corner. Tap on the cross button. 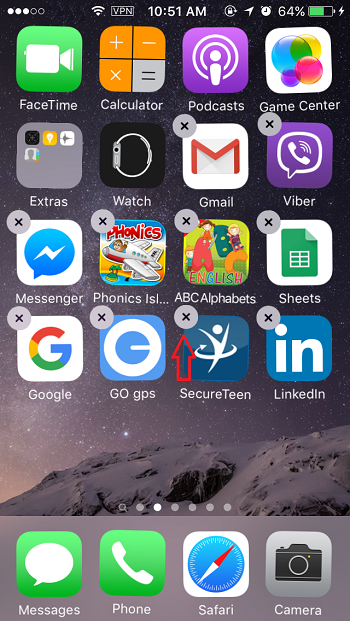 Tap on the Delete button to confirm your action. 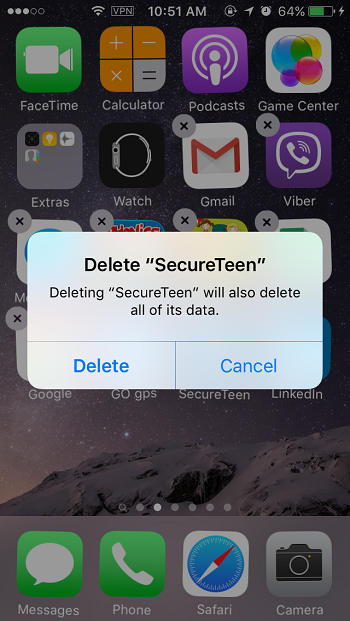 To remove a SecureTeen Profile. 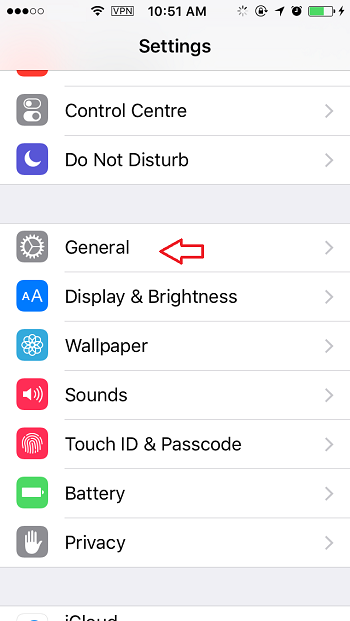 Open Settings, scroll down to General and tap it. 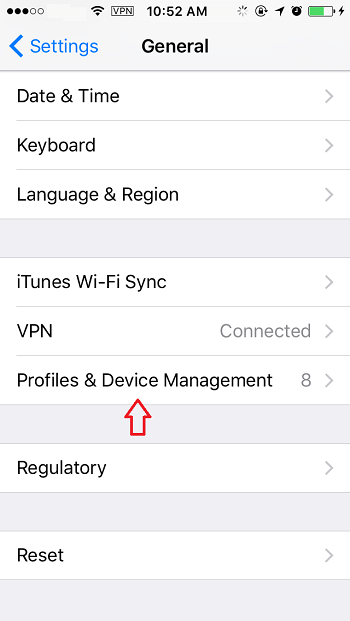 Scroll down to Profile & Device Management and tap it. 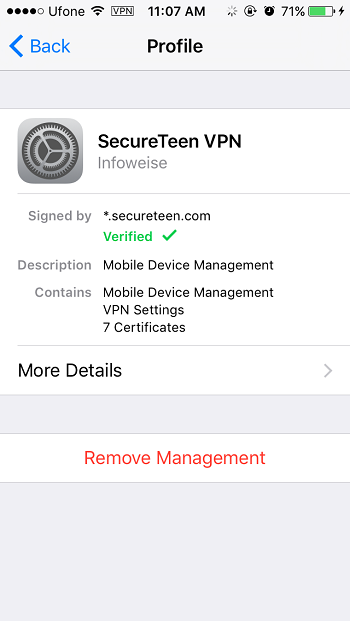 Look for SecureTeen VPN and tap it.